Part of the wider Geo collection of design, the Geo Vase echoes the forms and construction of the pendant light. 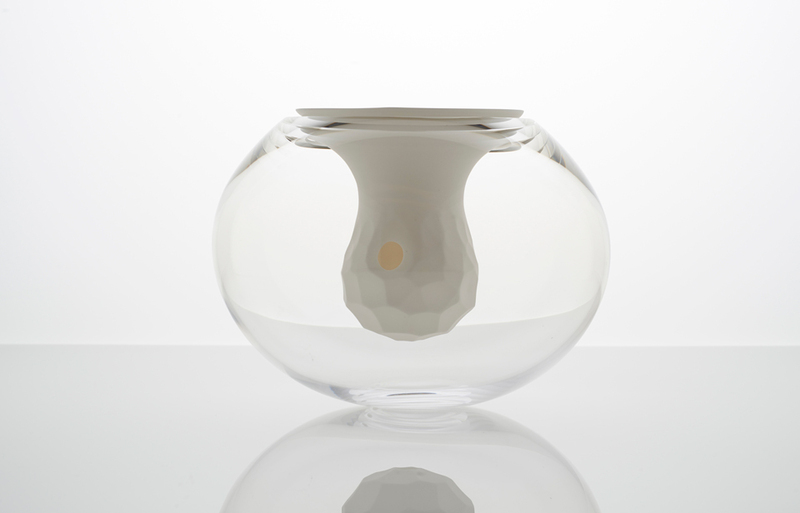 A ceramic core, cast and hand carved with a facetted texture by Cristina Vezzini, is placed within a hand blown glass bowl made by Stan Chen. 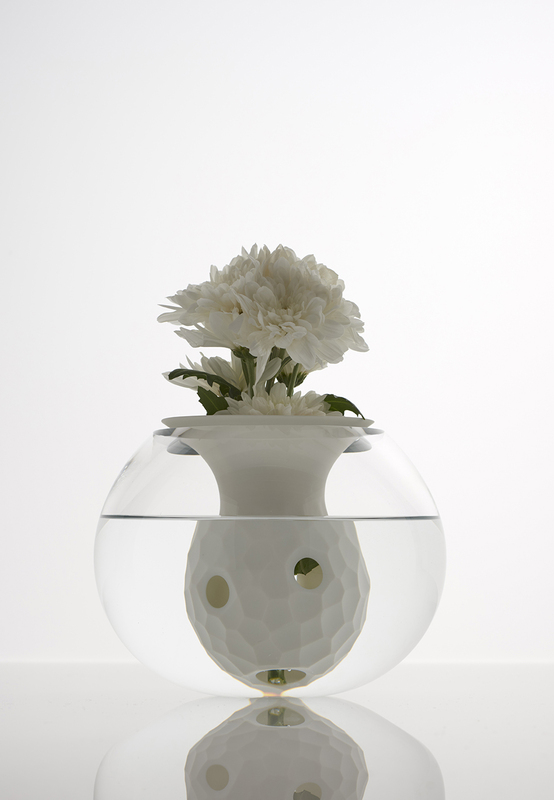 When the outer bowl is filled with water, negative space cut into the ceramic piece allow water to flow in to meet flower stems. The water magnifies and distorts the patterns and textures of the ceramic piece, creating a visual dialogue between the two materials and elements of the design. Each piece is unique, as both elements are made individually and by hand. 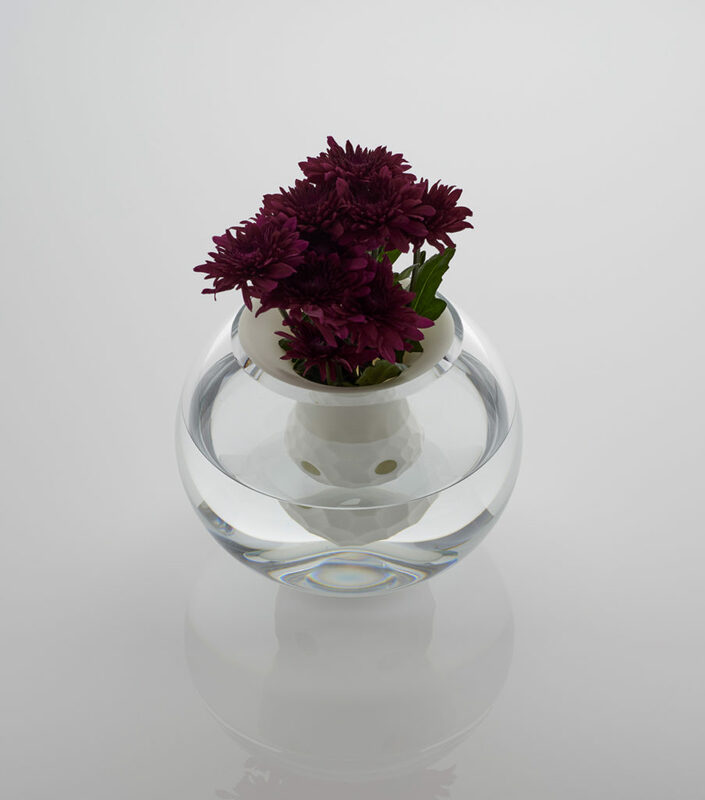 Every vase is carefully constructed, matching the perfect ceramic piece to the outer glass bowl for the best fit.